Eurasia's largest volcano Klyuchevskaya Sopkalcano in Russia's Far East erupted shooting hot ash miles into the air on Tuesday, the local geophysical service said. 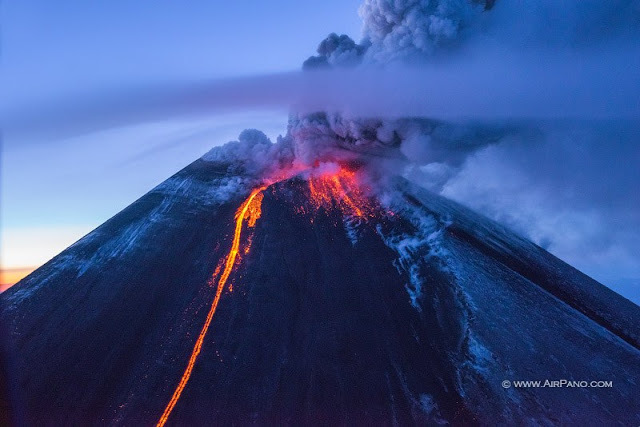 "The eruption was detected [Tuesday] morning...the eruption column rose 6 kilometers [3.7 miles]. The steam-gas plume stretched for 47 kilometers to the west of the volcano," a representative of the Russian agency told RIA Novosti. According to the geophysical service, ash spews are ongoing, volcanic activity has been registered. The Aviation Color Code has been changed to orange, which means that the volcanic eruption is underway with minor ash emission.